At the Healing Heart of Helensville Marie Narbey has been in business since August 2010. Marie has lived in Helensville and hosts yearly Holistic Health Expos, workshops, fortnightly yoga and meditation groups. Marie specialises in Reiki/Shaman and Elohim Healings, Therapuetic Massage and Foot Spa De-Tox. 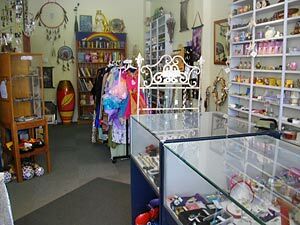 All these modalities are held at The Healing Heart of Helensville, which is where all manner of crystals, incense, candles, essential oils, bach flower remedies, perfumes, soaps, shells, tarot and oracle cards, books, clothing, jewellery, salt lamps, angels, fairies, new age and health products are available. At The Healing Heart we have a Meditation Group held weekly on Thursday evenings, 6pm - 8pm, with guided meditations, healing work and spiritual teachings. We also have a Clairvoyant Reader who comes in by appointment who has the ability to gain information about any loved ones or any unexplained circumstances. To promote spiritual awareness and healing for our local and wider community, and to provide good quality new age natural products and giftware for sale.